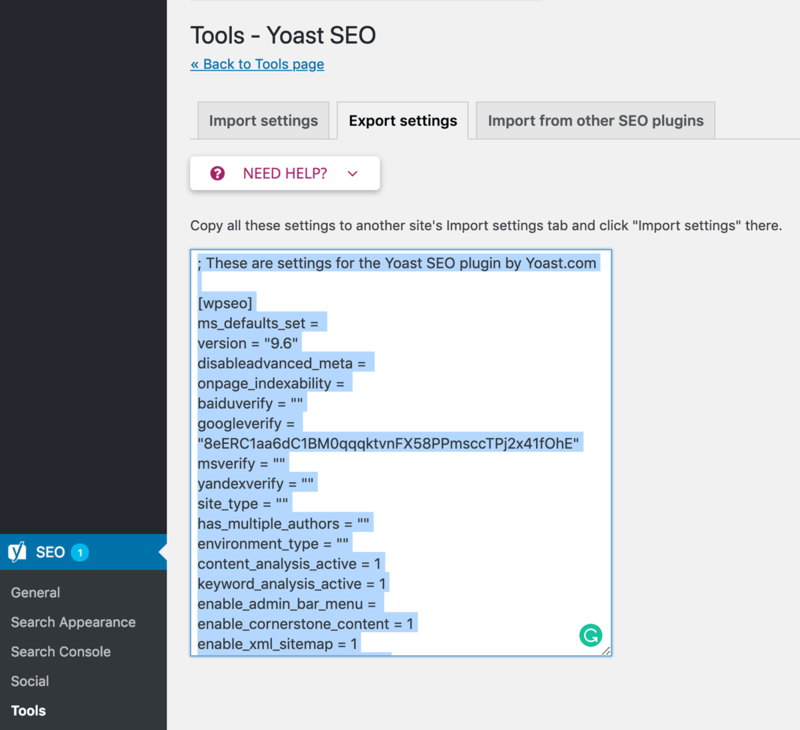 Yoast SEO is a powerful plugin for WordPress websites, but it can be frustrating and time-consuming to go through the default configuration steps every time you set up the plugin on a different site. This quick step-by-step tutorial will show you how to make your process more efficient by creating a reusable file to use as a template so you can avoid jumping through the same hoops over and over again during initial configuration. In WordPress, hover over the SEO tab in your Dashboard and click on Tools in the pop-up menu. Within the Tools section, click on the Import and Export link to get the transfer process started. It doesn’t matter which WordPress site you choose for this; you’ll be deleting any site-specific information later. 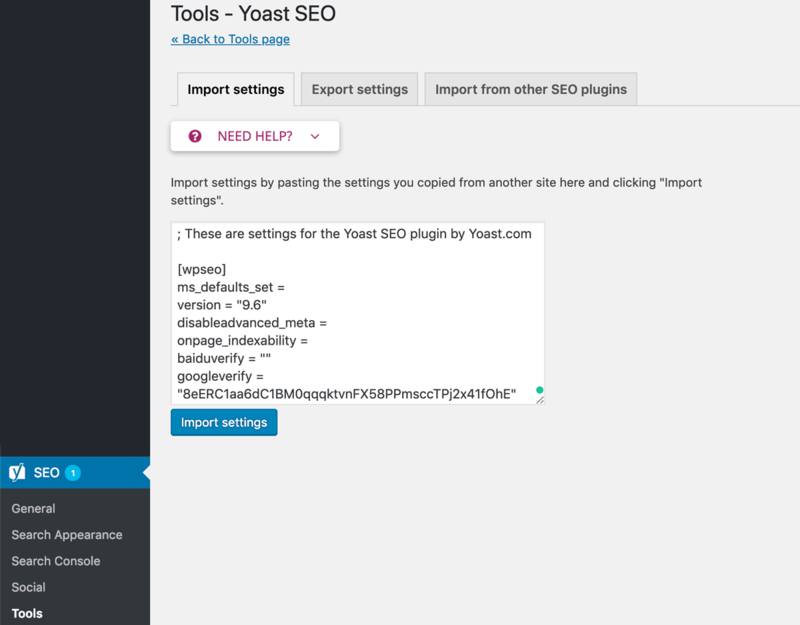 Next, click on the Export Settings tab then click on the Export Your Yoast SEO settings button. A box of code will open, copy the code. 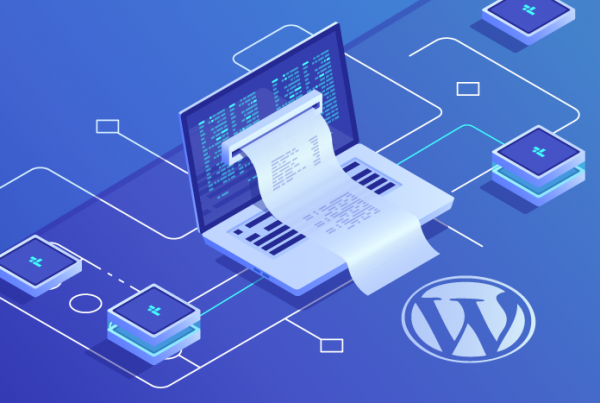 Go to your new WordPress installation and simply past the code inside the Import Settings box. Click the Import Settings button and you are all done. 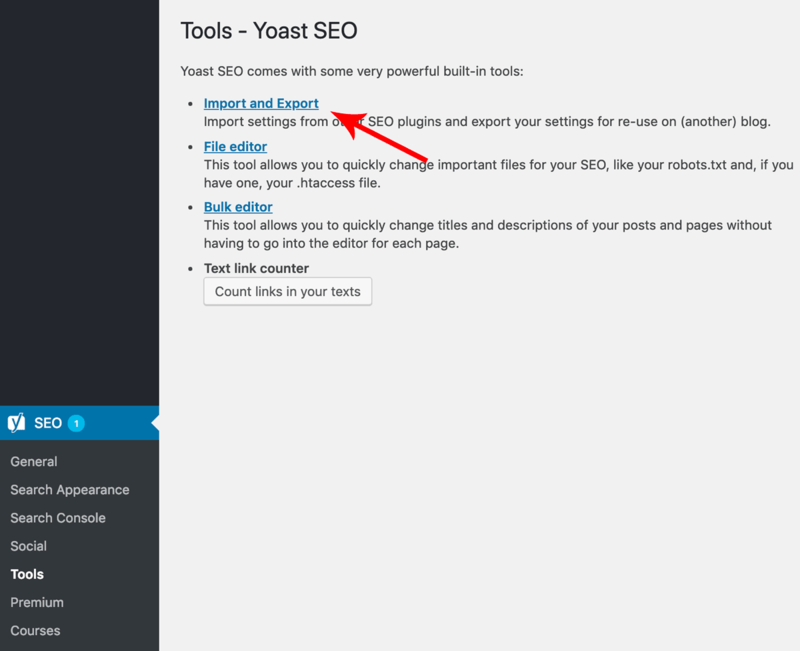 Yoast has simplified this process with the latest plugin updates and you no longer need to export/import .zip files. All it takes is a simple copy and past!